Looking for the best underpinning companies in Brisbane? A quick search for "underpinning brisbane" returns more results than anyone would care to sort through and among these results are underpinning contractors of all shapes, sizes and quality. So to help you sort the good Brisbane underpinning companies from the bad, here are a few simple tips to follow. The easiest way to search for Master Builders is to go to the relevant state website - each state has its own site. For Brisbane, this is the Queensland Master Builders Association. There you can search for Master Builders by the "House raising, restumping & underpinning" category to find underpinning contractors near you. Now you've probably got a list of 5 to 15 contractors, depending on how wide your search was (in kms). The next step is to check which of these underpinning companies have verified or verifiable customer reviews. These can be found in a Google Search or Google Maps Search. For example you check here for Foundation Solutions underpinning services reviews. Similarly you can check Facebook or other similar sites that have reviews. If a given company doesn't have any/many reviews on third party sites, check their website. We always keep a few of our recent customer reviews on our homepage for easy reference. If you're not confident about the authenticity of any reviews, ask the company if you can talk a past customer or two. This is something we at Foundation Solutions readily offer. After searching for quality customer reviews, hopefully you've been able to shorten your list a bit further. The next step is to check the website for each shortlisted company to find out what their underpinning process is. This is important to get a feel for how the company works, how transparent and responsive they are, and how comfortable you feel with their approach to service delivery. We have our underpinning process clearly described on our homepage. In fact we're so happy with it we even gave it a name - Wunderpinning! - because we believe our process delivers a truly "wonderful underpinning" experience. 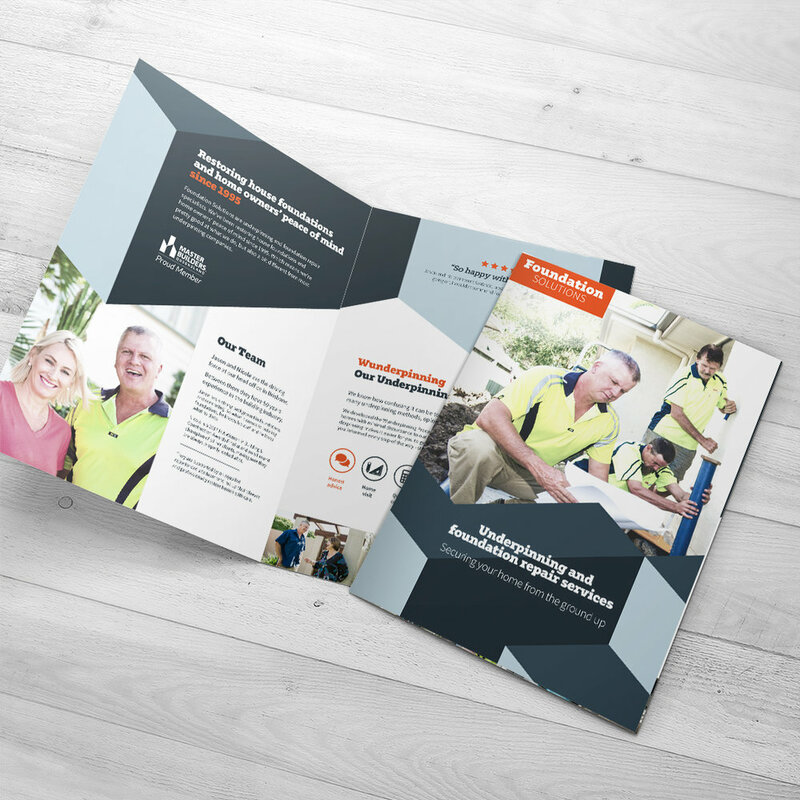 You can also read more about our underpinning process in our Underpinning brochure. If you have done your research and understand the different type of underpinning - such as concrete screw pile (aka screw pier) or resin injection, you could limit your search by only those companies that offer your preferred underpinning method. Otherwise skip this step and move to Step 5. We exclusively use steel screw piles, because they consistently deliver solid, lasting underpinning results. 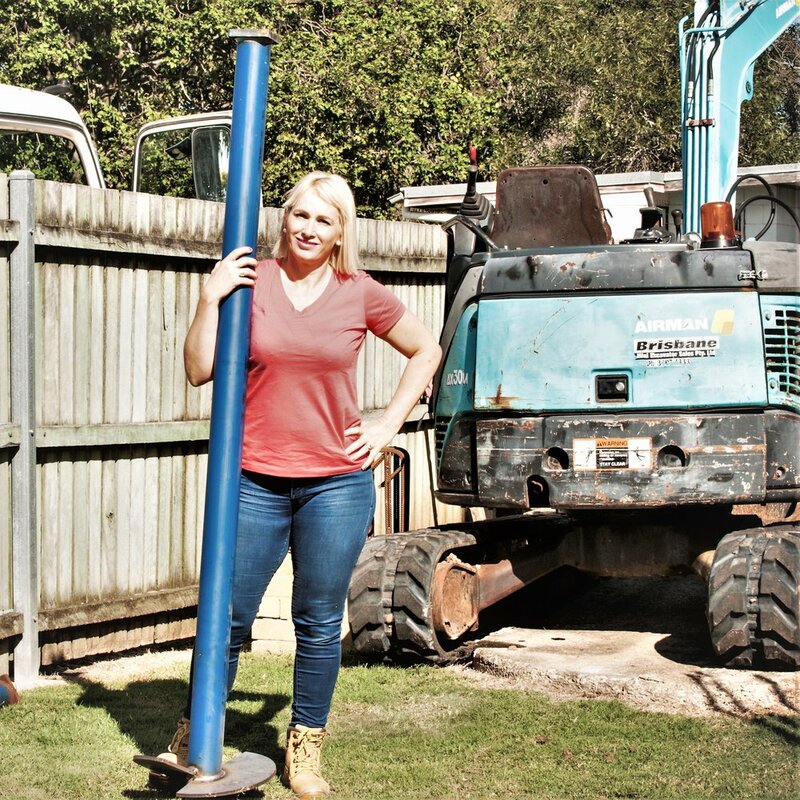 We partnered with Katana Foundations to ensure we have the best screw piles, made locally in Queensland, Australia. Hopefully you've managed to come up with a final shortlist of no more than 5 underpinning companies. The final step is to send them an enquiry to get a feel for how quickly they respond, how friendly they are to deal with, and how helpful their information is. It doesn't matter if you fill out a website form, send an email or call them - do whatever suits you, and then see how they respond. Hopefully based on this final step you will feel confident with 2 or 3 about companies and can proceed further with a detailed enquiry, home/site visit and eventually quotation. 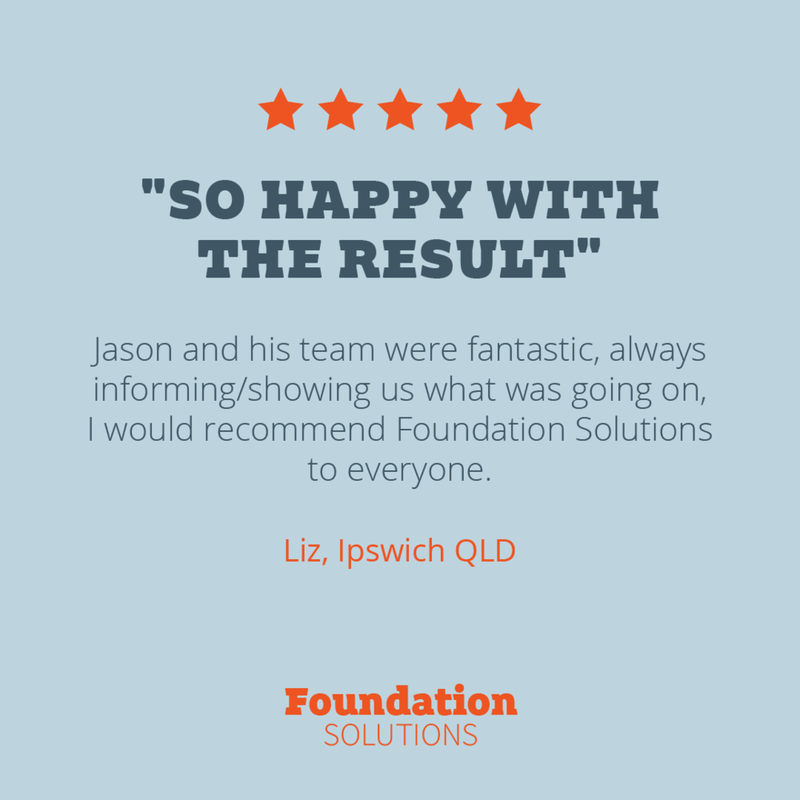 You can get in touch with Nicole or Jason from the Foundation Solutions team by email, phone or website form. Take your pick. We'd love to hear from you. Thank you for your enquiry! Jason or Nicole will be in touch with you very soon. We look forward to helping with your underpinning needs.